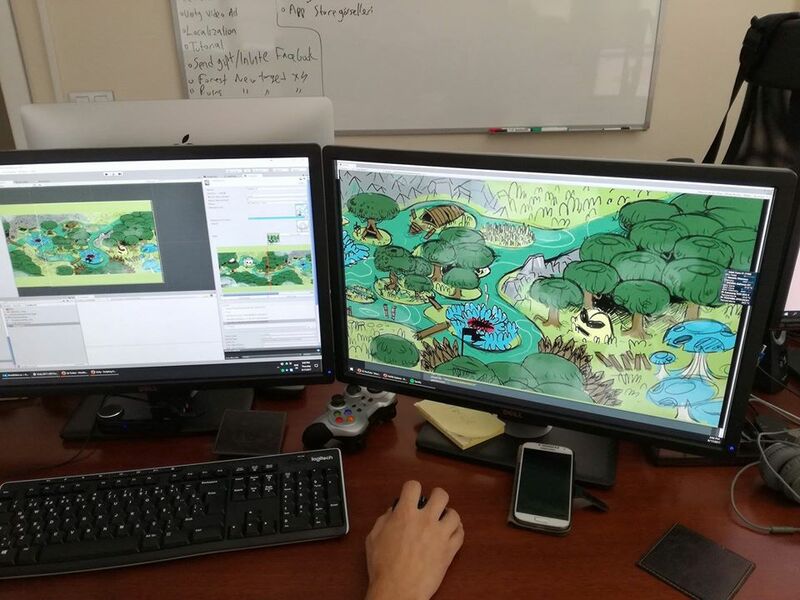 Testing, testing, and testing… These 3 words may be the most important part of developing a game: Level design. When you are creating something, you can not see yourself as a “consumer” but act like it. That can be wrong because you already know pros and cons of your project and this gives you a great advantage at gameplay part but also a misleading step at the test process. That’s why developers always ask for a third eye for this task. This is what we call “focus groups”, which is basically letting other people to play your game at its current state. Last week we started our first focus group tests as we continue to develop levels and it is great to see our game in action under somebody’s hand. Besides the joy of being the owner of the game, of course, the main reason for focus groups is to see if your plans are working or not. As we shared with you before, there will be 90 different levels and 3 different worlds. Each world will include 30 different levels and all these stages will have a different difficulty while including a variety of combinations from over 10 different targets in the game. This may be a huge work but the hardest part is to keep fun and challenge balance tight. It should not be too hard to proceed but also not to easy to pass. That’s why comments of other people who haven’t played the game before are so important at these early development days of our project. This is basically what we are trying to achieve at Doughlings. With each level, you will see that the game is challenging you but also rewarding and showing you an alternative way to solve it. Each DNA and target will force you to change your strategy and create new paths to complete it. If we manage to keep this balance among all 90 levels, Doughlings will be a lot of fun to play and compete. As always, thanks for sticking with us since the announcement and hopefully we will announce the release date soon. Have a nice week and HealThemAll!